The speed of Kendall Coyne Schofield, power of Blake Bolden and Lee Stecklein, shooting accuracy of Hannah Brandt, trick shot-making ability of Amanda Kessel and Gigi Marvin, and goaltending of Shannon Szabados are among the many talents that will be on display at the 2019 NWHL Skills Challenge on Saturday, Feb. 9. 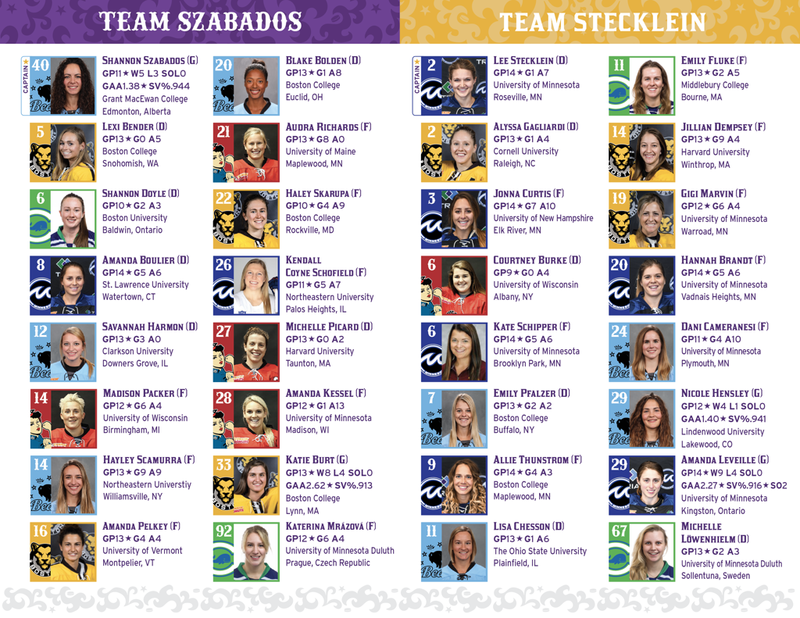 The lineups for Captains Szabados and Stecklein have been revealed in advance of the Skills Challenge, which will take place before a sold-out crowd at Ford Ice Center and live on Twitter beginning at 5 p.m. CT. 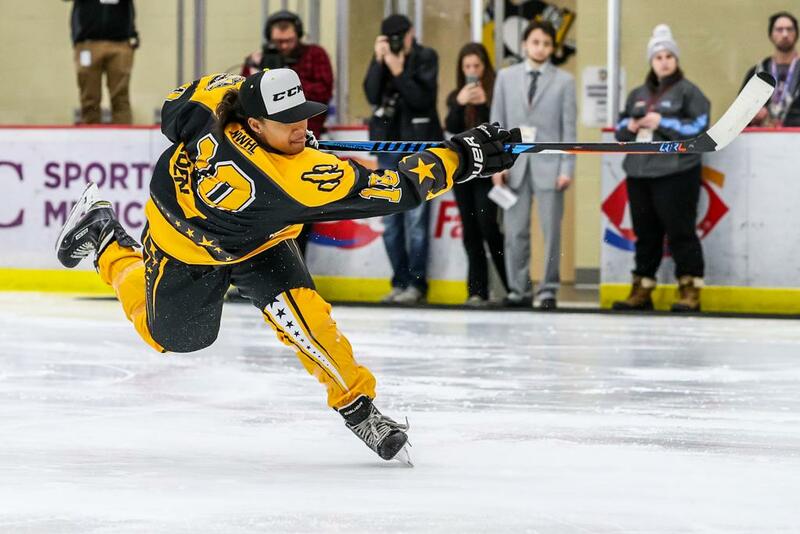 The event is on the eve of the 2019 NWHL All-Star Game at Bridgestone Arena in Nashville on Sunday at 2:30 p.m. CT.
Blake Bolden won the hardest shot competition at the All-Star Skills Challenge in Pittsburgh in 2017. All players participate. Team scoring the most goals in the allotted time is awarded the point. Although the Skills Challenge is sold out, $20 tickets to the NWHL All-Star Game remain available at Ticketmaster and NWHL.zone/tickets. Ticketholders for the Blues-Predators game at 11:30 am CT are invited to stay for the NWHL event. Fans with general admission tickets for the NWHL All-Star Game will be able to enter Bridgestone Arena at approximately 2 pm.